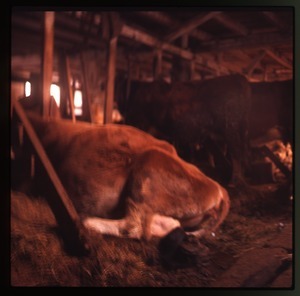 7 results found for: subject:"Cows--Massachusetts--Montague--Photographs"
Montague (Mass.) 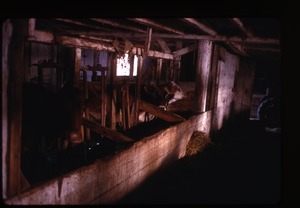 - View of the business end of three cows in the barn, Montague Farm. Montague (Mass.) 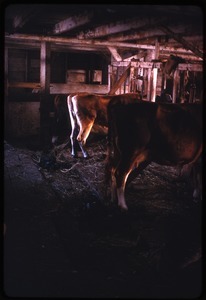 - Cows in their stalls, Montague Farm barn. Montague (Mass.) 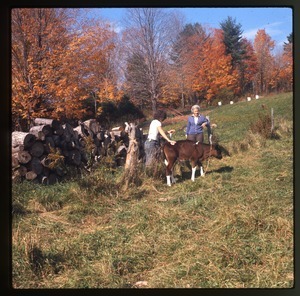 - Nina Keller and mother leading a calf to pasture, Montague Farm. Montague (Mass.) 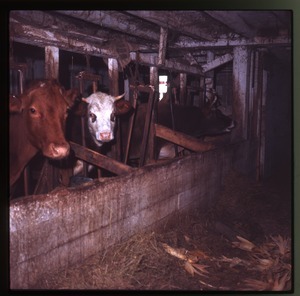 - Cows looking out of their stalls in the barn, Montague Farm. Montague (Mass.) 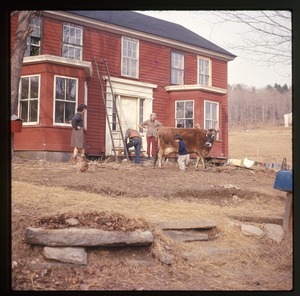 - Nina Keller and family with cow in front of house, Montague Farm. Montague (Mass.) 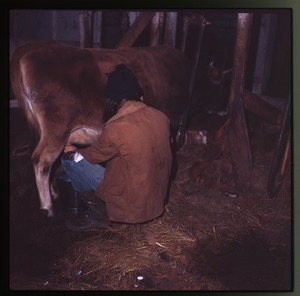 - Milking a cow by hand in the barn, Montague Farm.